Long sleeve button down crochet detail tunic shirt. Long sleeve off the shoulder linen blend striped romper. Long sleeve off the shoulder floral tunic top. Short sleeve V-neck polka dot ruffled dress. Fitted waist tapered trouser pants. Short sleeve mock neck all over lace top. Short sleeve cold shoulder button detail linen blend dress. Short cap sleeve V-neck lace detail tunic dress. Sleeveless halter neck style all over lace dress. Fitted high waist button detail midi skirt. Short sleeve V-neck floral tunic dress. Fitted waist button detail linen blend shorts. Sleeveless V-neck floral print maxi dress. Long puff sleeve high neck belted tunic blouse. 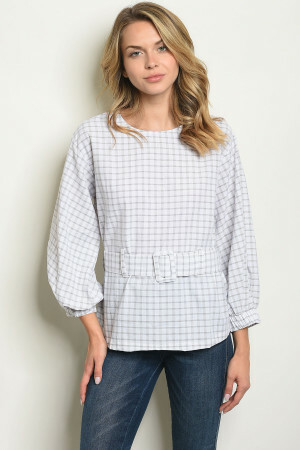 Long sleeve V-neck button detail tie waist blouse. 3/4 puff sleeve V-neck knotted front blouse. Short sleeve smock waist ruffled tunic dress. Short sleeve high neck tie detail blouse. Short sleeve round neckline striped jersey tunic dress. Sleeveless V-neck jersey tunic top. Sleeveless scoop neck floral maxi dress. Sleeveless round neckline floral maxi dress. Short sleeve V-neck floral cropped jumpsuit. Sleeveless scoop neck floral print skater dress. Fitted waist water color floral midi skirt. Long sleeve round neckline crochet detail tunic blouse. Sleeveless round neckline crochet blouse. Short cap lace sleeve round neckline shift dress. Short ruffled lace sleeve high neck shift dress. Long bell sleeve high neck ruffled neck tie collar blouse. 3/4 sleeve off the shoulder ruffle tunic top. Sleeveless scoop neck ruffled tunic dress. Fitted waist all over crochet shorts. Long sleeve pocket detail maxi belted shirt dress. Long bell sleeve round neckline tunic blouse. Long flutter sleeve scoop neck tunic top. 3/4 flutter sleeve neckline detail jersey tunic top. 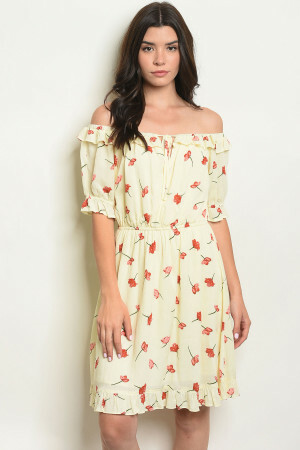 Sleeveless round neckline floral tunic dress. 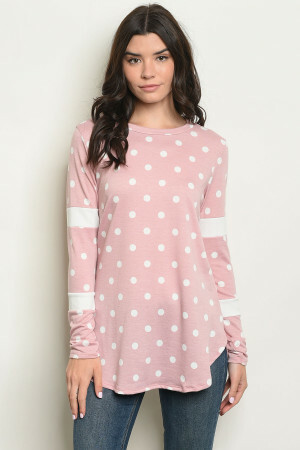 Long sleeve round neckline polka dot tunic top. Sleeveless V-neck floral babydoll tunic dress. Sleeveless round neckline side cut out maxi dress. Long sleeve button down striped tunic shirt dress. Short flutter sleeve scoop neck jersey tunic dress. Short sleeve off the shoulder ruffled tunic dress. Long sleeve open front embroidery detail kimono. Fitted waist cropped striped trousers. Long sleeve scoop neck tie dye tunic dress.